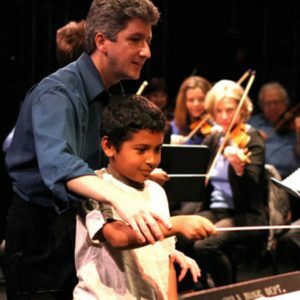 We bring dynamic music programs into underserved schools and with the 68-member Symphonic Jazz Orchestra perform free concerts for the community. Have you ever heard Gershwin’s Rhapsody in Blue? If not, take a listen. If so, then you’ve heard Symphonic Jazz. Coined by the American band leader Paul Whiteman in the early 1920s, Symphonic Jazz is an innovative hybrid form of music blending the worlds of jazz and classical music. Every year, the SJO — in partnership with the The ASCAP Foundation — awards a commissioning prize to a composer, whose new work is then premiered by the orchestra in concert. We bring much-needed music education to 180 classrooms every week of the school year, with a focus on schools in underserved neighborhoods. This means that we reach 4,700 students with this year-long program. From counting out rhythms, to introducing instruments, to learning about the history of blues music, these residencies inspire students to learn about the world around them and to question, create and express. 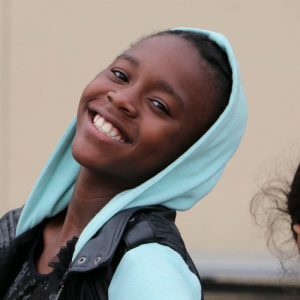 The Symphonic Jazz Orchestra has served over 65,000 young people and their families across Los Angeles County.